Any one who has followed my blog (or my posts on the Design Team for Technique Junkie stamps blog) knows I like to use to different approaches for the same stamp. 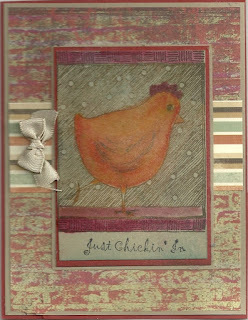 Both cards use the same chicken stamp - http://techniquejunkies.com/chicken/. 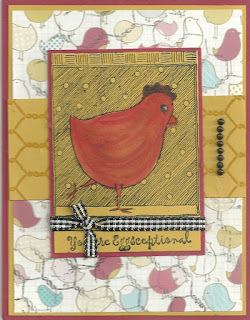 The first card above uses background paper from my stash and the Chicken Wire stamp http://techniquejunkies.com/chicken-wire-2/ on that background ground paper. The chicken is colored with Copic Markers. 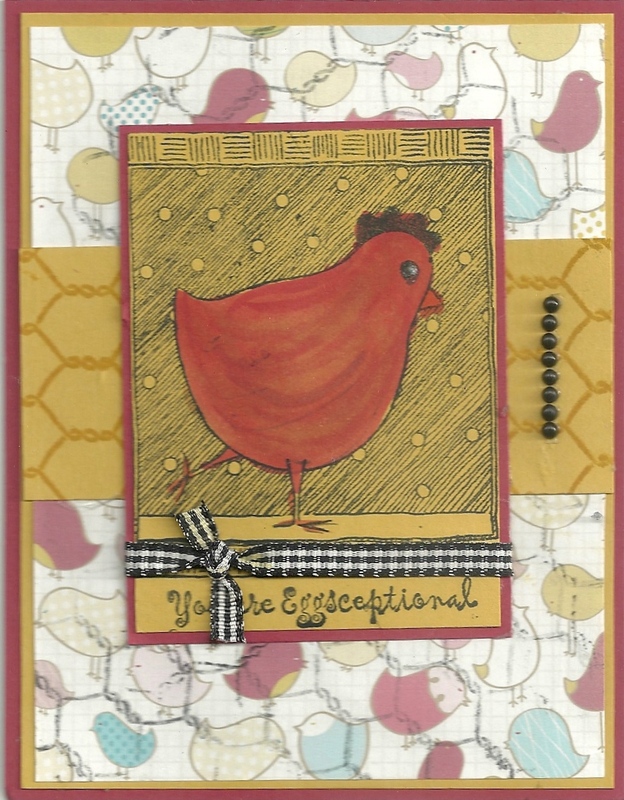 The second card uses a scrap of background paper over another pieces of background paper. The chicken is colored with Peerless Watercolors http://techniquejunkies.com/peerless-watercolors-complete-edition/. 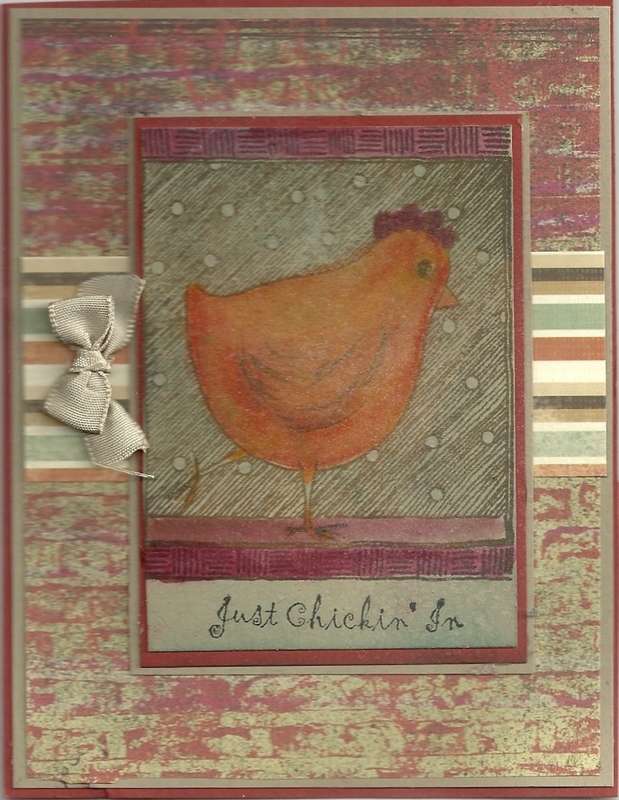 Both cards use a sentiment from the Chicken Sayings set - http://techniquejunkies.com/chicken-sayings-set-of-2/. Have a wonderfully inky day!